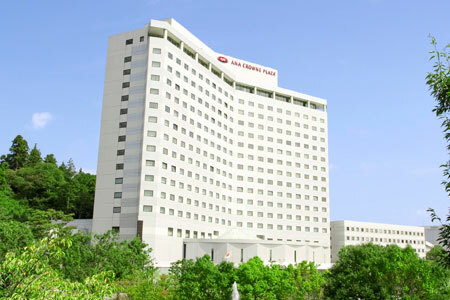 ANA Crowne Plaza Narita is located near Narita International Airport, making it ideal stopover location for international travelers. 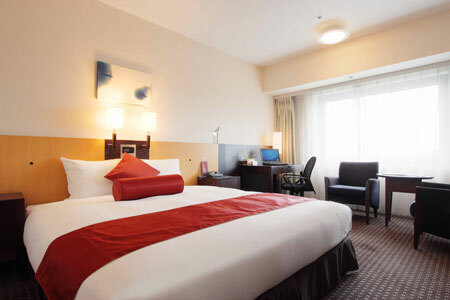 Surrounded by trees and a fountain, ANA Crowne Plaza Narita is 15 minutes from Narita Airport’s terminals 1 and 2 by complimentary shuttle bus. 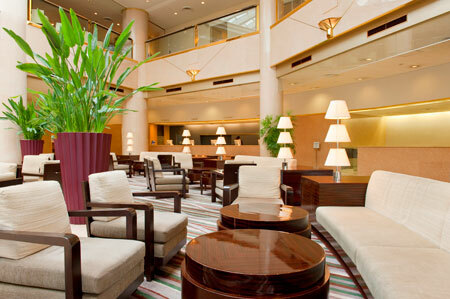 ANA Crowne Plaza Narita is a modern, recently refurbished hotel is a perfect place to relax before or after your flight. The hotel offers 396 air-conditioned rooms with minibars and safes. Accommodations offer separate sitting areas. Televisions come with premium satellite channels and pay movies. Bathrooms include shower/tub combinations, slippers, complimentary toiletries, and hair dryers. 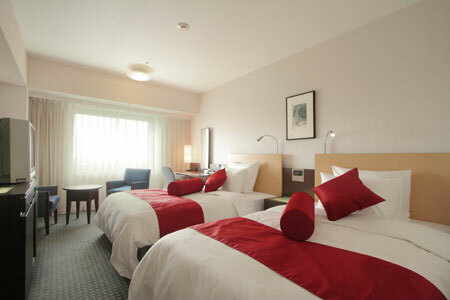 Rooms are equipped with high-speed Internet access. Business-friendly amenities include desks and complimentary weekday newspapers, as well as multi-line phones with voice mail. Additionally, rooms include coffee/tea makers and blackout drapes/curtains. Housekeeping is offered daily and wake-up calls can be requested. In order to ensure a great nights sleep all rooms are double glazed and include Crowne Plaza’s ‘Sleep Advantage’ items such as pillow menu, bath salts and sleep enhancing aroma selection and teas. The hotel chef sears your steak in front of you against a backdrop of Narita Airport’s nighttime neon at our elegant, top-floor teppanyaki restaurant. 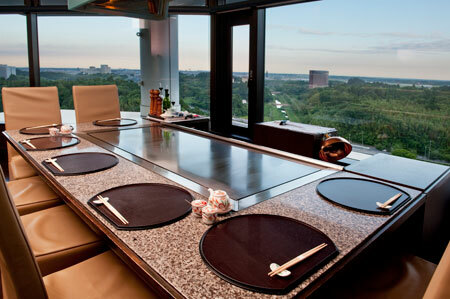 Also on the 17th floor is the Saifu Sky Dining restaurant, serving contemporary Japanese fusion dishes. 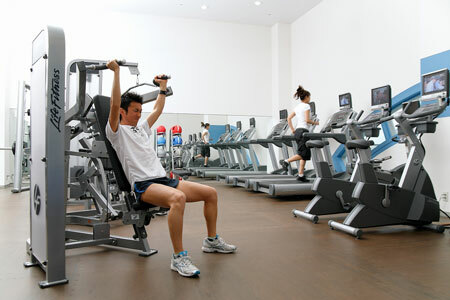 Santeloi Health Club is open for members and guests of the ANA Crowne Plaza Narita (additional charges apply). 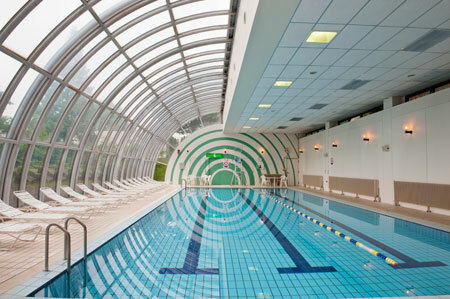 All-weather swimming pool with its retractable roof offers the environment all year round. At 18 meters long and 7 meters wide, there’s plenty of room for a vigorous workout or a relaxing lap. And for those who just want to soak up some sun the wide deck and comfortable deck chairs are provided. In addition to the airport shuttle bus the hotel offers complimentary transportation to Keisei Narita Station and AEON mall.